OUR IOWA CHAPTER CONTINUES TO GROW! That means together, with more knowledge, experience, support and gifted voices, this amazing group of new and sustaining members of NAWBO Iowa will continue to thrive. In March, our leadership team together, with the membership and programs teams, sponsored the first Sign-up Party for prospective members. The event was hugely successful, as we welcomed 13 new members that very day on March 1! Also in March, the programs team together, with the advocacy team, hosted the second annual Celebration of Women's History at Terrace Hill. Our members mingled and met with other members, female legislators and Gov. Kim Reynolds while enjoying happy hour at the Governor's Mansion. A week later, NAWBO Iowa together, with the local ABI chapter and local NFIB members, rallied together for the Iowa Business Day on capitol hill. More than a dozen of our members represented NAWBO Iowa at the Iowa State Capitol and met with local legislators to share concerns on small business issues. Later in March, NAWBO Iowa members together, with the National Women's Business Council, attended the first national roundtable on women's rural entrepreneurship. Our members from Pella were there with other Pella women business owners. Local Small Business Adminstration representatives and Sen. Joni Ernst also attended. The group was successful at moving the discussion forward, and many great connections were made. Also in March, together, with members of the Des Moines Business Record and local community leaders, NAWBO Iowa sisters attended an event celebrating the 2019 Forty Under 40 honorees, including our own Co-President Kendra Erkamaa. At the microphone, Kendra acknowledged the women business owners in the room, expressed appreciation for all that we do and are doing and once again reminded us that..."Together we go far." Anyone who operates a small business knows it’s essential to invest much of their time in day-to-day business operations. But have you thought about investing more time in growing your professional network? Relationships can help expand your business — often through word-of-mouth marketing. But a strong social capital can also directly help you financially. Take, for example, the 2012 sale of Eloqua, a marketing automation and intelligence platform, to Oracle. The sale was completed for $871 million, more than 200 percent of Eloqua’s estimated public market value. Read more. Throughout her schooling career, Ashley Mowery knew she was interested in numbers. But it took some guidance and advice from a longtime NAWBO Iowa member to choose her eventual career in accounting. Mowery grew up in Norwalk and attended Simpson College in Indianola — “I haven’t traveled far,” she joked. Mowery now works with the CPA firm McGowen, Hurst, Clark & Smith in West Des Moines. While attending Simpson, she began to catch an interest in accounting. Her mother was an office manager at a business that was a client of McGowen, Hurst, Clark & Smith, where NAWBO Iowa member Kathi Koenig worked. Read more. While the number of women-owned businesses has been sharply increasing in the past four decades — they now represent four of every 10 businesses in the United States — they still contribute a small part of the total revenue — just 4.3 percent in the private sector. Iowa boasts organizations and programs with goals to bridge the margin. If you’re looking to grow or wanting to make the leap on your own, here are three places you can turn to for help — both financially and strategically. Read more. NAWBO Iowa is launching a new program, the NAWBO Iowa Business Institute. We are seeking a company to facilitate the Institute’s programming, which will be focused on business growth for women business owners. Proposals for a facilitator are being accepted through April 19, 2019. Read more. Spring Membership Drive Continues Through April! Bankers Trust is Iowa's largest privately-own banks and has services in personal and business banking, lending, wealth managament and more. Based in Des Moines, Bankers Trust is one of NAWBO Iowa's Ruby Level Sponsors. "As the #1 lender to women-owned businesses in Iowa, Bankers Trust is proud to play a role in helping many women business owners succeed. Whether they are just getting started or have been a business owner for many years, Bankers Trust understands the business banking needs of female entrepreneurs and is a trusted partner and resource for growth.With a workforce of over 65 percent women, Bankers Trust truly embodies NAWBO’s mission of 'women in business propelling other women in business.' 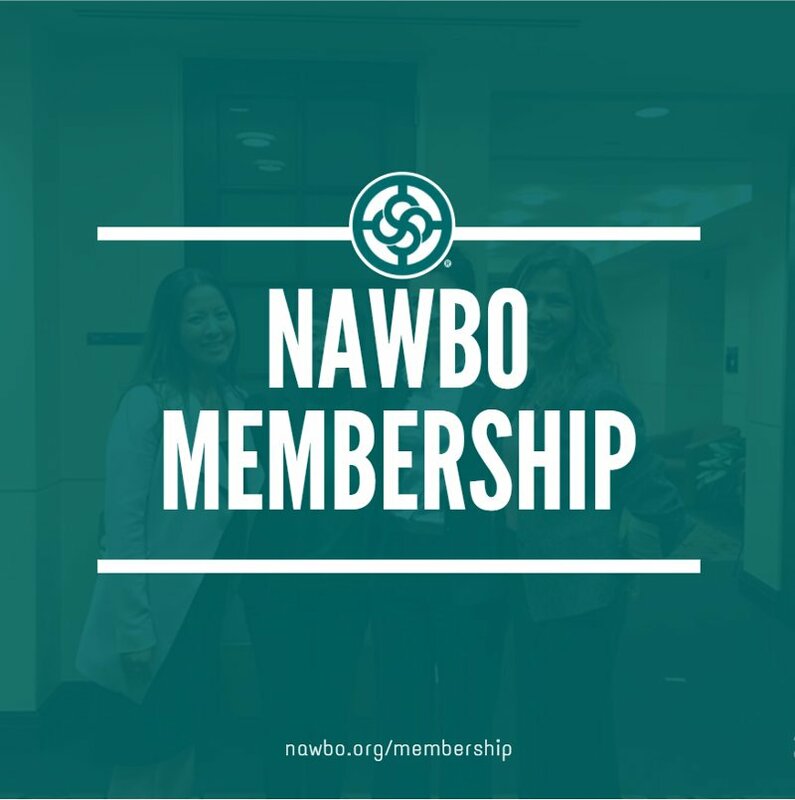 Supporting NAWBO has been a great way for Bankers Trust to build relationships with local women business owners and female entrepreneurs." More and more women own businesses in Iowa and more women are successful at business ownership in Iowa! Success most often results from the powerful combination of passion and community. One woman with a vision putting it to the test while intentionally surrounding herself with people willing and ready to support that vision. So as women, we understand that no successful woman business owner stands alone. We know that success in business is not an isolated incident. In Iowa and at NAWBO Iowa, it is an absolute truth that we are better together. Help Iowa move forward along the path of woman-friendly business ownership. Join fellow NAWBO Iowa members like Kim Augspurger, Lana Pol and Claudia Schabel just to name a few, who continue to advocate on behalf of all of us. Today women business owners involved in public policy are affecting what will happen tomorrow in our economy. We are shaping our business culture to help women thrive in business ownership. Through our advocacy in the coming months, together we are having an impact on the success of the women business owners of the future. Our time is now. Participate! The state of women-owned businesses in Iowa is overwhelmingly strong, according to a new study released in January. The annual State of Women-Owned Business Report, commissioned by American Express and conducted by Ventureneer, tabbed Iowa as one of the top 10 states in economic clout growth rate — which considers the growth of women-owned businesses in numbers, employment and revenue. Iowa and Georgia were ranked eighth. South Dakota was No. 1. Read more. It was in 2005 when Roxanne Pals sparked an interest in change — what it does, how it affects people and how to properly prepare for it. Pals, who has a nursing background, was working as a clinical nursing manager at Mercy Medical Center North Iowa, and the organization was implementing a dramatic initiative: replacing paper records with electronic medical records. Despite large-scale preparation, advice from consulting agencies and testing, the implementation went sideways. And Pals was left wondering: Why? Read more. Throughout the past few decades, the climate for women business ownership has dramatically improved, especially in Iowa.Before the Women’s Business Ownership Act passed in 1988, women couldn’t receive bank loans without a male co-signer. Just six years ago, in 2013, Iowa was ranked the worst state for women business ownership, according to the State of Women-Owned Businesses Report. In 2018, after strong efforts from organizations across the state, Iowa jumped into the top-10 as one of the best states for women business ownership. From struggling to receive a bank loan in the early 1980s to the troubles of finding a place to lease, it’s clear women business ownership has come a long way. Hear from three NAWBO Iowa members and their stories of starting their own businesses throughout the years. Read more. The women of Iowa’s 2019 legislature will join women business owners at NAWBO Iowa’s second annual Celebration of Women’s History event, 4:30-6:30 p.m. Tuesday, March 5, at the Governor’s Mansion, historic Terrace Hill. In addition to women policy leaders, the NAWBO Iowa celebration will be attended exclusively by NAWBO members and the organization’s corporate partners. The event will start at 4:30 p.m. with an hourlong networking session, followed by a short program and toast at 5:30 p.m., featuring speeches by NAWBO Iowa leaders. Kristen Hall, the founder of her own law practice, is in the business of problem-solving and mediation. But more importantly, she’s in the business of helping families heal — and that’s the way she wants it to be. Hall, the sole proprietor of Hall Mediation and Law, says she practices law with a “servant’s heart.” Focused primarily on collaborative divorce and estate planning, Hall knows how to manage conflicts and understands how emotions can get in the way of the decision-making processes. Read more. When owning a small business or operating as a sole proprietorship, having extra time to try something new is a rarity. And when business owners are jumping into something unfamiliar, it needs to be carefully planned and thought out. Marketing is often one of the toughest places for business operators to properly execute, especially if it’s not their area of expertise. Here are four marketing strategies you can implement now at little to no cost. Read more. We're 5 out of 5! Well...we're 5 out 5 stars on Facebook based on the opinion of three, but we want to hear from you! Do you have feedback about your experience with NAWBO Iowa? Please consider leaving a review on our Facebook.